I Can Think Of No Reason To Add Anything To This. (NaturalNews) It’s the most benign thing in the world. In fact, it’s a concept whose time has come and it will only help protect us and keep us safe. Naturally, there’s nothing to worry about because there won’t beanyabuse of the technology. After all, spy drones are already being used around the U.S.; what’s the problem with adding tens of thousands more? In case you didn’t know it – and you probably didn’t – Congress, with little fanfare,passed an FAA reauthorization bill last weekPresident Obama is expected to sign into law that will make it much easier for the government to put scores of unmanned spy drones into American skies. Not only that the legislation authorizes the Federal Aviation Administration to develop regulations for the testing and licensing of commercial drones by 2015. If the law takes full effect, it is believed as many as30,000drones could be hovering over the U.S. by 2020. 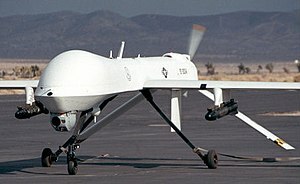 The drones, which are widely used in Afghanistan to spot and target suspected insurgents and Taliban operatives in that country as well as neighboring Pakistan, have been used by American government agencies like U.S. Customs and Border Protection, a division of the Department of Homeland Security, for a few years, in an observation/surveillance capacity. DoH has also used drones in disaster relief operations, and advocates say they can be successfully employed to fight fires and locate missing hikers. Privacy advocates, however, are sounding the alarm good and loud. “There are serious policy questions on the horizon about privacy and surveillance, by both government agencies and commercial entities,” Steven Aftergood, head of the Project on Government Secrecy at the Federation of American Scientists, told the Washington Times. Her agency is suing the FAA to determine just how many certificates the agency has already issued to police, government agencies and a smattering of private research institutions to allow them to fly drones in U.S. airspace. The agency says it handed out 313 certificates in 2011; by year’s end, 295 were still active “but the FAA refuses to disclose which agencies have the certificates and what their purposes are,” said the Times. “We need a list so we can ask [each agency], ‘What are your policies on drone use? How do you protect privacy? 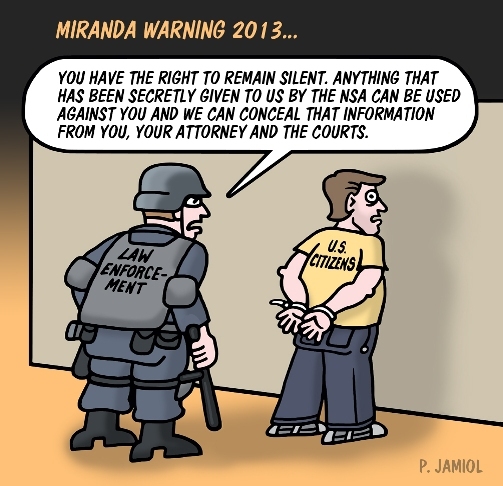 How do you ensure compliance with the Fourth Amendment? '” Lynch said. “Currently, the only barrier to the routine use of drones for persistent surveillance are the procedural requirements imposed by the FAA for the issuance of certificates,” Amie Stepanovich, national security counsel for the Electronic Privacy Information Center, told the paper. The use of drones to keep an eye on American citizens is just the next step in what has become the move towards a so-called “surveillance society” that is growing rampant in the U.S.
Barry Steinhardt, director of the ACLU’s Technology and Liberty Program, says while the widening use of video cameras in American society may have helped nab some criminals, they often provide a false sense of security. “It’s the illusion of security … public authorities like to give the impression they are doing something about crime and terrorism,” he told Wired.com. Furthermore, are we comfortable with being constantly under surveillance? “Do we want a society where an innocent individual can’t walk down the street without being considered a potential criminal?” asks the ACLU, on its Web site.